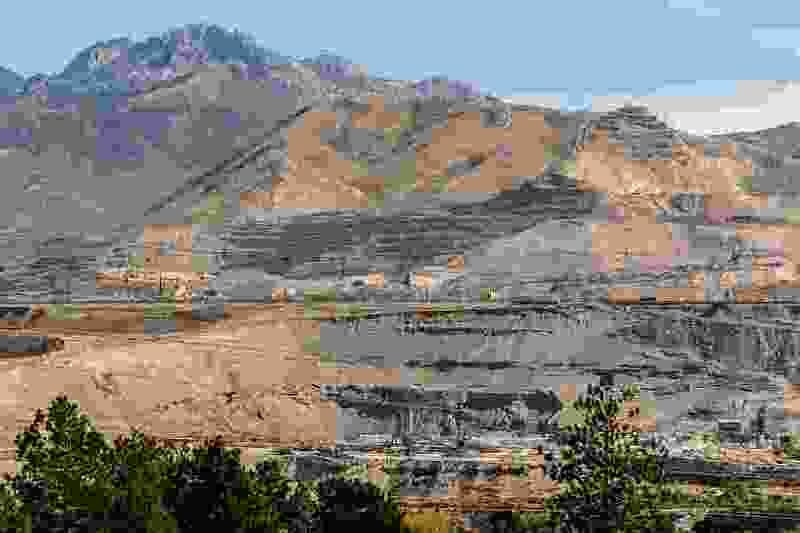 Draper • Environmental and health concerns have stopped Geneva Rock from going through with a proposed expansion of its gravel mining zone at the Point of the Mountain — for now. More than 100 people showed up to a standing-room only public hearing Wednesday evening, many to raise environmental and health concerns about the company’s proposal. But they never got the chance to speak. Geneva Rock unveiled a concept completely different from the one outlined in its application, including a proposed expansion of just 18.5 acres, down from 73 acres. Company representative Dave Kallas said Geneva Rock was “offering this as an alternative solution." Draper Mayor Troy Walker halted the meeting about 15 minutes into the presentation to say that the City Council couldn’t legally continue the hearing because of the dramatic changes. Geneva Rock could either go forward with presenting its original application, he said, or withdraw it and reapply at a later date. Geneva elected to withdraw and reapply later. Councilwoman Michele Weeks criticized the abrupt halt to the hearing as wasting the time of those who had made an effort to attend and those who wanted to speak, drawing some cheers from the crowd. Tony Nelson, head of a group called Point of the Mountain Politics, said after the forum adjourned, “I think this stunt at this meeting was pre-planned to push back to another date when less people will be here. I mean, to come in with an 80 percent reduction…. Why didn’t they just do that in the beginning?" Residents who came to the forum had many concerns, foremost among them environmental ones. Those attending also raised allegations of conflicts of interests between Geneva Rock and the City Council. Jeff Hartley is a lobbyist for both the city and Geneva Rock, and helped on the campaigns of several City Council members, opponents said. Though the proposed gravel pit expansion is off the table for now, opponents have no doubt Geneva Rock will return with another application. “We will be back,” Nelson said of those protesting any expansion.